Succeev® from Sanofi aventis is an excellent dermal filler with three densities in the rnage which are selected by your practitioner depending on usage area and effect required. It is one of the latest advanced generation fillers and is a good choice for most patients. Succeev® has been designed from hyaluronic acid, a substance naturally present in our body. It is safe, compatible with human skin and is completely absorbed. Succeev® produces results almost straight away and over the following months after injection, in terms of increased volume and wrinkle filling. No allergy testing is required. It is important to remember that Succeev ® should only be administered by a trained medical professional. Succeev® One to improve the appearance of fine wrinkles around the eyes, mouth and forehead. Succeev® Two to treat deep furrows, replace lost facial volume, enhance lips as well as correct facial depressions due to scarring. 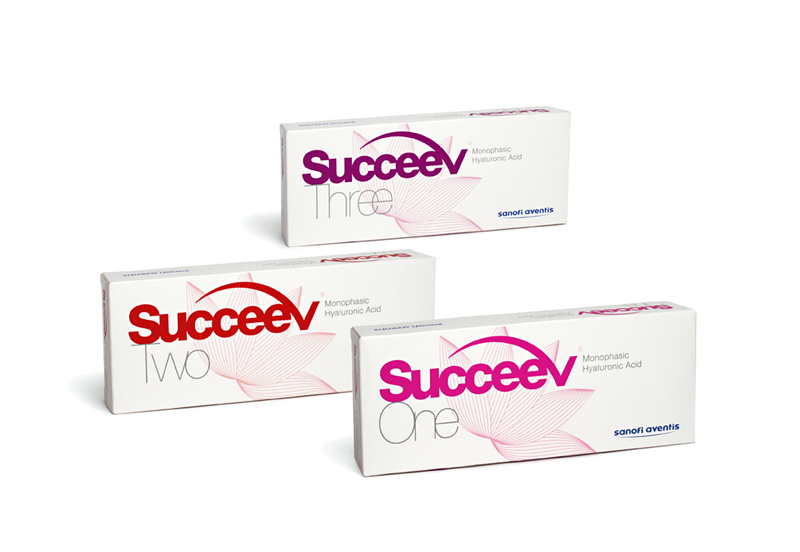 Succeev® Three to treat deeper skin folds, lines and wrinkles. The duration of improvement from Succeev® depends on the condition being treated and usually lasts six to nine months.